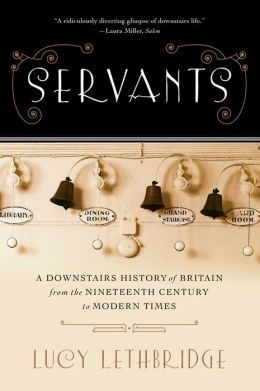 SERVANTS is not a memoir, like so many other books about Edwardian domestic workers about whom I have read. This is instead an academic work, compiling a history of British in-home domestics from the 18th century through the middle of the 20th. Service, as we romanticize it in DOWNTON ABBEY, was nothing like what we see on television. It was a life sacrificed to the domestic pleasure of the wealthy, the elite, a distinction not only by job but by class. Servants were rigidly aligned; lower servants ate together; upper servants ate together; the butler often ate alone, as he was so much higher than his compatriots below stairs. It is truly amazing, however, that in-home service remained the same for centuries, only to change radically after the end of WWII. Gone were the strata of pre-war Britain. Instead, domestics found themselves faced with employment shortages, as the wealthy and the poor became less divided, the war having made many of the elite much less rich. Women were being sold modern conveniences, like free range ovens and washing machines. And relationships between masters and servants were becoming more friendly, less icy. This was a fascinating history of the below stairs workers who had helped to breathed life into the British class system for hundreds of years finally finding their independence.